Jenna has spent the last 20 years in both creative and business positions in entertainment, with stints at Maker, Xbox, and CAA. Most recently, Jenna was the VP of Distribution for Maker Studios where she was responsible for overseeing the strategic direction of the Company’s content portfolio. There, she managed global distribution relationships for Maker’s Talent network with third-party platforms including digital, MVPD, OTT and linear. Distribution partners include Amazon, AOL, Dailymotion, The Walt Disney Company, DISH’s Sling TV initiative, Fusion, Scandinavia’s Modern Times Group, MSN, Roku, Samsung MILK Video, Soundcloud, Vimeo, Xbox, Yahoo Asia Pacific and China’s Youku Tudou. Jenna also initiated Maker’s video games publishing unit. 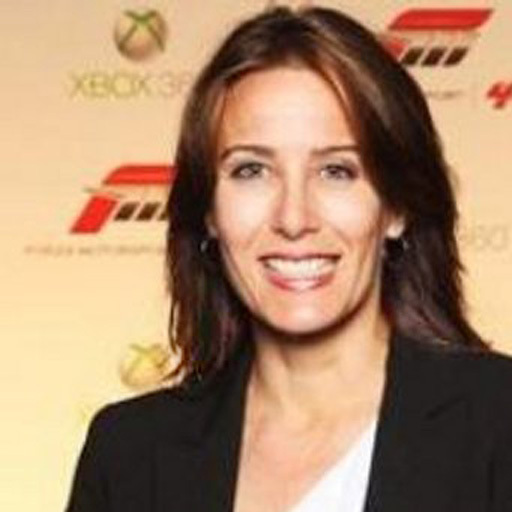 Prior to Maker, Jenna was the Head of Entertainment Partnerships for Xbox’s first-party games and content division, Microsoft Studios, and was the Executive in Charge of Production for multiple cross-platform content initiatives; including Halo 4: Forward Unto Dawn, the Studios’ first original live-action digital series production. In partnership with 343 Industries, Jenna managed all third-party distribution, first launching exclusively with Machinima and then windowing the release via various AVOD, SVOD and TVOD partners ultimately securing a 30% ROI on the product. The series continues to be one of Netflix’s top rentals 3 years later. An avid gamer whose ultra non-technical lawyer father ironically owned a videogame arcade, Creative Artists Agency hired Jenna as a Video Games Agent in 2007 where she represented developers and designers as well as CAA film/TV talent in the interactive space. Game Clients included Respawn (Titanfall), Gearbox (Borderlands), Remedy (Alan Wake), Tomonobu Itagaki (Dead or Alive), Suda 51 (No More Heroes) and Quantic Dream (Heavy Rain) where she secured financing for AAA titles and managed film/TV rights. Seiden structured various deals ranging from building out game divisions to developing original concepts for CAA clients including Chris Nolan, Gore Verbinski, Jerry Bruckheimer, Michael Mann, Oprah Winfrey and Will Smith. From 2003-2005, Jenna co-ran David Schwimmer’s NBC-based production company Dark Harbor Productions after working with him at The Gersh Agency in TV Packaging. Seiden graduated from The Anderson School of Business at UCLA in 2001. She did her summer MBA internship at Icebox.com, a pre-YouTube digital video startup that created original and irreverent animated short-form series founded by Howard Gordon (Homeland) and other TV animation luminaries including King of the Hill and The Simpsons. Other internships included TV Literary at ICM and Primetime Series Development and Current Programming at NBC. Seiden is an alumni of the University of Pennsylvania.